Partly because only 76 examples were built. 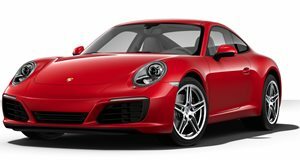 Before Porsche gave us the Cayenne, Macan and Panamera, the German automaker strictly built sports cars, the most famous of which, obviously, is the 911. Although the 911 is still very much in existence today, it’s not the same flavor of sports car it once was, as the crew from Carfection rightly points out. A good example of this is to compare today’s 991.2 911 with the 1994 964 911 Turbo Flatnose, . 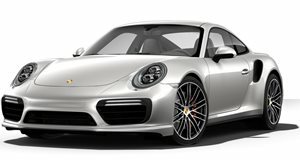 Powered by a 3.6-liter flat-six with a single turbo, all of its 385 horses went to the rear wheels, as opposed to all four wheels like in modern 911 Turbos. , meaning it’s void of the typical 911 headlights for aerodynamics’ sake. Above all, this 964 is very special, with only 76 of them being made. A non-Flatnose 964 911 Turbo was also driven by Will Smith in the original "Bad Boys" cop flick, in case you didn’t already know. But this particular 964 911 Turbo Flatnose only has 600 miles on the clock, a rare quality on an equally rare car. What’s also quite interesting is that Porsche never even acknowledged it built those 76 examples until 2004 – an entire decade after first hitting the market. If Porsche wanted to work on such a rare and, as it turned out, almost secret project today, there’d be no way it’d stay a secret for long because of something called the internet.